Here are some of other news items in short. With over 6,000 member offices in 187 countries, WCA, which was founded by David Yokeum in 1998, has moved up to the position of the world’s largest independent forwarding network. 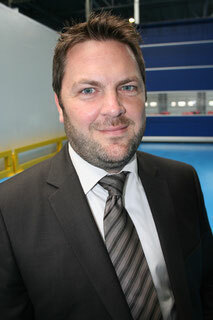 David moves into the position of Chairman and the CEO slot will now be run by Dan March. Dan, who has been WCA’s Communication Director for the past five years will work closely with Mr Yokeum overseeing the day-to-day operations. Another added bonus for the WCA Group is the appointment of industry stalwart, Ram Menen into a new global Supervisory Board. Ram who set up and ran Emirates cargo division for almost thirty years stated that he is pleased to be bringing his experience and knowledge to the WCA Board. The BRU cargo community in Brussels has decided to create what they see as a new independent organization, which is aimed at improving the logistics and cargo operations in and around Brussels Airport. “Air Cargo Belgium” is the name given to this project and it will be headed by Steve Polmans who is BRU Airport’s head of cargo. Launch date is February 2016 and Polmans who will act as Chairman states that the new organization was influenced by the work done by Air Cargo Netherlands and that 85% of the new BRU set-up’s participants would also be members of the Dutch group. The local Chamber of Commerce will appoint one of their members as vice chairman and the decision still has to be taken as to how many staff will be hired and whether full or part time. Although titled Air Cargo Belgium, decisions reached and strategies put forward must be for the benefit of Brussels airport. This, according to Steve does not mean that the organization will not or cannot work with other airports on issues such as e-freight, e-AWB’s or pharmaceutical issues which could improve on the logistics chain for stakeholders. It will be interesting to see what the first steps might be. The logistics software provider is offering clients a full e-Air Waybill (e-AWB) connectivity to more than 90 airlines through the WIN online platform. This, according to Softlink, will give forwarders who use their platform, enhanced efficiency and cost savings. He further notes that customers using the new software will not have to rely on third parties to convert AWB information into the electronic format. Recently the 35,000th ton of Cool Chain cargo passed through the Emirates SkyCargo freighter hub at Al Maktoum International - Dubai World Central (DWC) Airport which had only opened earlier this year. Emirates Cargo has named their new cool facility “SkyCentral” and offers dedicated storage space covering 15,000 square metres for all kinds of temperature sensitive products. The storage of pharmaceuticals takes the lead followed by vegetables, fresh fruits and an increasing amount of fresh seafood. Almost 6,000 tons of seafood ranging from Skipjack Tuna from the Maldives and American Lobster have passed through the facility already this year. The strikes (again) called by Lufthansa flight attendants, have resulted in a severe drop in Fraport’s November results. Fraport, Germany’s largest airport operator saw a drop in passenger volumes for the month by 11.3 percent. Almost 3,500 flights were cancelled resulting in just over 10 percent less aircraft movements. The strikes also affected the cargo throughput at the airport. Much of the cargo carried on Lufthansa flights goes into the bellies of the long haul passenger fleet. Cargo figures for November slipped by almost four percent (3.6%) resulting in only 195.5 thousand metric tons being moved. The strikes again dented the Fraport monthly results, following on previous strikes by LH’s cockpit crews this year. The European network was increased with the addition of 26 new stations added through their partner carrier Vueling’s network. IAG Cargo states that there are now a total of 128 European stations being served which they claim give their customers more point-to-point connection options. The addition of the twenty-six new stations gives better access to smaller, provincial airports alongside the larger European hub stations. These stations will also be added into IAG Cargo’s EuroConnector services. The Hong Kong-based logistics service provider, which is one of Asia’s largest, has received this year’s Hong Kong Corporate Governance Excellence Award which is jointly presented by the Chamber of Hong Kong Listed Companies and the centre for Corporate Governance and Financial Policy. The awards have been presented since 2007 and this year went to Kerry Logistics for what the panel saw as Kerry’s world-class aspiration of achieving good corporate governance. The award also highlighted Kerry Logistics disciplined board and the company’s determination to have top calibre staff with the proper professional background to lead their business. 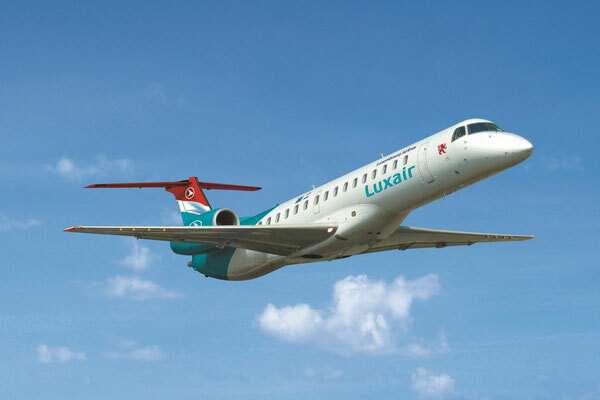 Earlier this year Lufthansa pulled out of its 13 percent shareholding in Luxair and since then the Luxembourg-based passenger carrier has been looking for a replacement partner. A partner has been found, it was revealed today (14 Dec) that Delfin S.a.r.l has been chosen. Delfin which was founded in 2006 engages in design, manufacturing and distribution of premium eyewear as well as real estate and financial services. It could well be that the new shareholder will get more than the 13 percent as it was announced by the Minister of Sustainable Development, Francois Bausch, that the state which currently owns 39.05 percent may well consider disposing of a larger percentage.